What’s the next evolution for email? In this digital age, mobile apps are all the rage, especially when it comes to messaging and task management. Yet, most companies rely on email for their first choice corporate communication method. Also, private email users are convinced despite all their aversions towards email – Email won’t die. 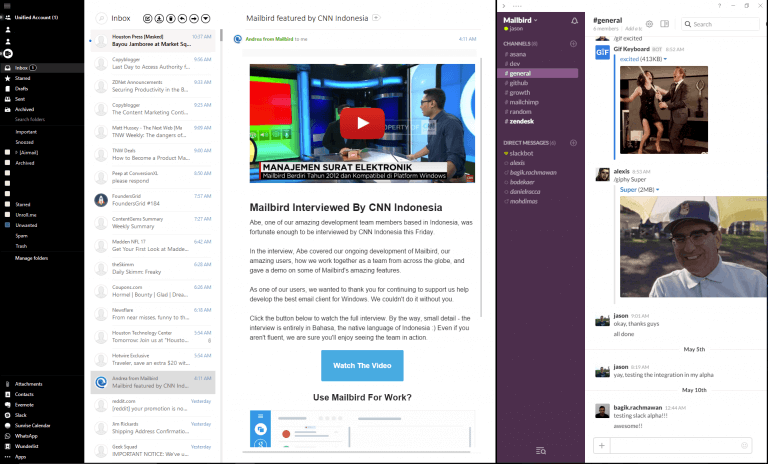 That’s why I am going to look at how to best combine messaging apps (Slack example) and email. 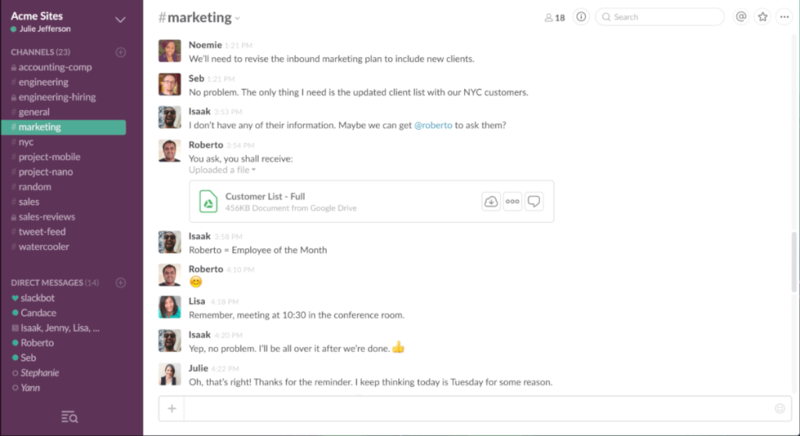 Why using messaging apps such as Slack? 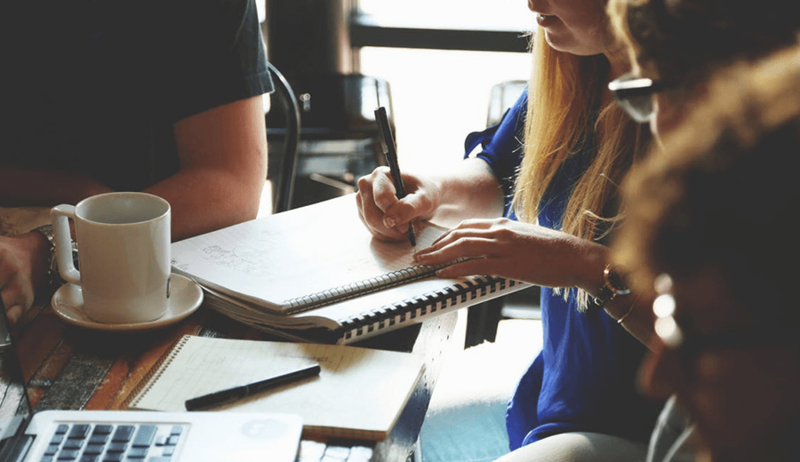 Nowadays, most corporate teams prefer Slack for collaborative communication, especially in projects. In fact, The Verge and New York Times touted Slack as the ultimate email killer. 2.3 Million people are using Slack every day to be exact. It allows channel members to communicate more quickly, share documents, and has dozens of amazing bots to automate a score of things that email just can’t. For example, Slack gives a super option of sharing code through snippets – my personal favourite. The recent report by Radicati group supports that statement. It shows that we are sending 215.3 Billion emails every day in 2016. Taken the current trend this will go up by 4.6% in 2017 and the following years. Also, despite many security concerns, newsletters, system notifications and formal business communication (such as memos and contracts) will still largely be sent over email. Messaging apps are just not suitable for that, especially within cooperate set ups. So how to best combine them? Given that we still have non-millennials in the workforce who aren’t about to leave their structured world with memos and emails and with the rise of the millennial workforce at the same time, it is necessary for many companies to find the best way to combine both email and modern messaging Apps such as Slack. Today’s users are well known for Shadow IT. These are IT systems and solutions built and used inside organizations without explicit organizational approval. Integrating apps with mail seems to be the most logical way. I was intrigued when I came across an interesting email client called Mailbird. It allows you to integrate with over 30 apps (including Slack, Asana, WhatsApp, and Facebook among others) with the current app in use appearing on a right side pane of the email client. Loading any app is one click away and I found its versatility in choosing apps very friendly at the top of the pane. Slack was my first app to activate in Mailbird. I used it to set up channels for communicating the hot topics of projects we are currently working on. Similar to Twitter, the channels are hashtagged and there are also options for direct messages and mentions. So I am constantly in touch with what’s going on around any project, event or person in the company, while still keeping tabs on my emails without having to switch applications. This, for me, is the most useful innovation from Mailbird as it saves me time while making it convenient to use the features of Slack which can’t be found in any email application. For our team, this integration of messaging apps with my email client of choice has actually reduced the amount of email I receive. With messaging apps and email now under one roof, we can reference between the two making our communications even more effective. Mailbird delivers the best of both worlds, and I like the fact that you can have your messaging app in a focused pane next to your emails. This means that it is easy to switch to whatever is your main focus at the time, whether its email or messaging app, the other can stay hidden. The ease and speed of access means I don’t have to leave my email application, then switch to a browser for my business communication. Mailbird takes care of it for me. How do you combine your messaging apps and email? Let me know in the comments section below.